REDWOOD CITY, Calif. – October 24, 2013 – Electronic Arts Inc. (NASDAQ: EA) today announced a multi-year partnership with global racing sensation and action sports icon Ken Block and Need for Speed™. Block will become Racing Advisor for the franchise, lending his unique insights into what it takes to push the action and adrenaline of racing to new limits to help keep Need for Speed atop the videogame racing world for years to come. The Need for Speed franchise is also sponsoring Block and his Ford Fiesta ST 2013 racing car and will be working with him on the release of Gymkhana SIX, the next installment of the award-winning, record-breaking viral video franchise, via the Need for Speed website and YouTube channel. ESPN has recognized Block as one of the most influential action sports athletes in the world. When his rally racing career began in 2005 he quickly earned Rookie of the Year in the Rally America Championship and has gone on to nineteen overall wins and five X-Games medals. 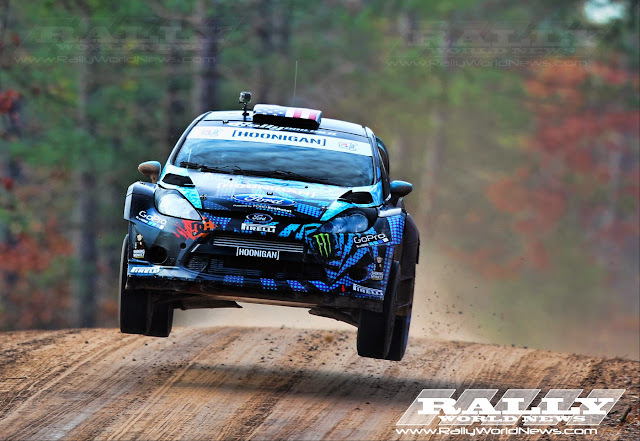 In addition to his performance in competition, Block has reached global fame for his skill and car control and pushed the sport of rally cross the line into the mainstream through his wildly successful Gymkhana video series. To date, the first five videos have garnered more than 250 million views. The next video in this series, Gymkhana SIX, will be released in its entirety November 11 and will once again raise the bar for what can be done behind-the-wheel of a car. The Need for Speed franchise has sold more than 150 million copies since it first launched in 1994. The newest entry, Need for Speed Rivals, is already receiving praise from press worldwide, winning 15 awards including Best Racing Game of E3 2013 from the Game Critics Awards. Need for Speed Rivals glorifies the street’s ultimate rivalry, allowing gamers to choose their driver’s seat between cops and racers. Each side of the law will have its own set of distinct cars, tech, high-stakes challenges and rewards. Set in a stunning world powered by the advanced Frostbite™ 3 engine, Need for Speed Rivals also introduces the revolutionary AllDrive system that destroys the line between single player, co-op and multiplayer, seamlessly connecting gamers to their friend’s racing world. Need for Speed Rivals will be in-stores November 19 in North America and November 22 in Europe for the PlayStation3 computer entertainment system, Xbox 360 videogame and entertainment system from Microsoft and PC via Origin™. Need for Speed Rivals will also be available starting November 22 in North America for the PlayStation4 computer entertainment system and Xbox One, the all-in-one games and entertainment system from Microsoft. The game will be available starting November 22 in Europe on Xbox One and November 29 on PlayStation 4.